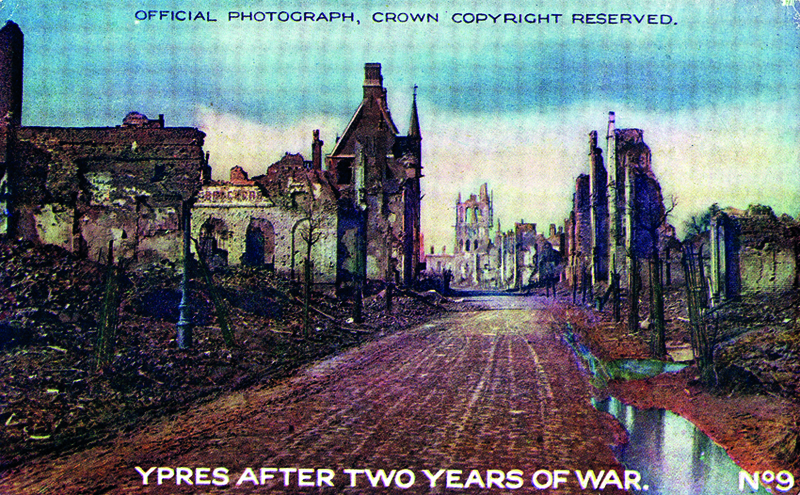 Ypres after two years of war. The "Buffs" (East Kent Regiment) "The Nutcrackers". On 16 January 1915, Private Bill White and the 2 / Buffs embarked for France by camouflaged troopship. 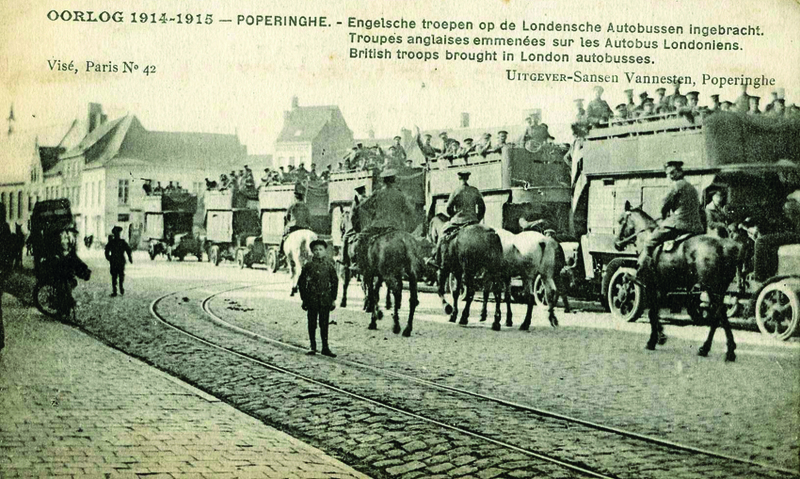 Arriving at Le Havre the next day, the Battalion entrained in cattle trucks and left for the French town of Hazebrouck on the Belgian border, a key rail junction used to reinforce and resupply the Ypres Salient. On 21 January, the 2/Buff’s march to Rouge Croix, during which French civilians pressed flowers and food into their hands. 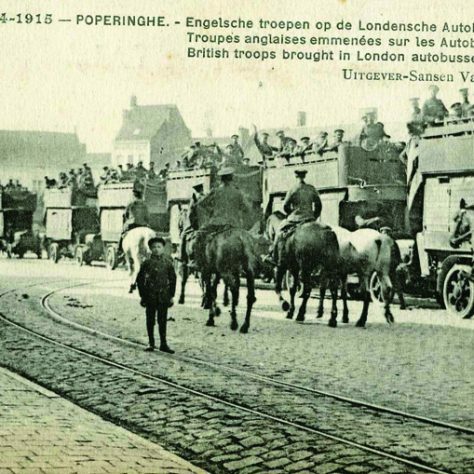 The 2/Buffs were then transported in bone- shaking converted Army Service Corps (ASC) London omnibuses to the ruins of the medieval city of Ypres and thence to their sector trenches. In January 1915, the Ypres Salient comprised an 18 km (11 mile) sickle-shaped bulge east of the city running from the French/Belgian-held line near Steenstraat in the north across to positions between Poelcappelle to Broodseinde, then arcing down to British-held Ploegsteert Wood near Messines in the south. The British First Army, under General Sir Douglas Haig, held the line from Cuincy in the south up to St Eloi, just north of Wytschaete in the southern Salient. Beyond this, the British Second Army, under General Sir Horace Smith-Dorrien, held trenches up to the Yser Canal just east of Boesinghe. The Salient was a sector of appalling ferocity. 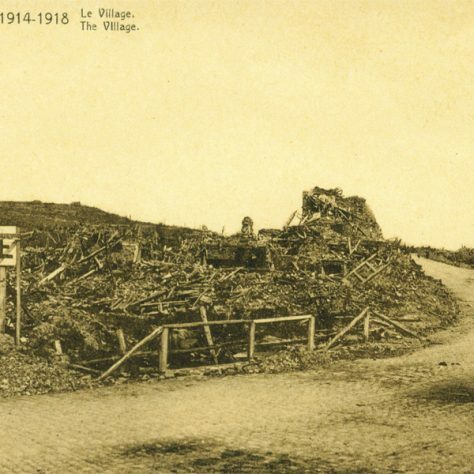 After their gains in 1914, German forces held the higher ground and could direct artillery and machine gun fire into the allied trenches from three sides. 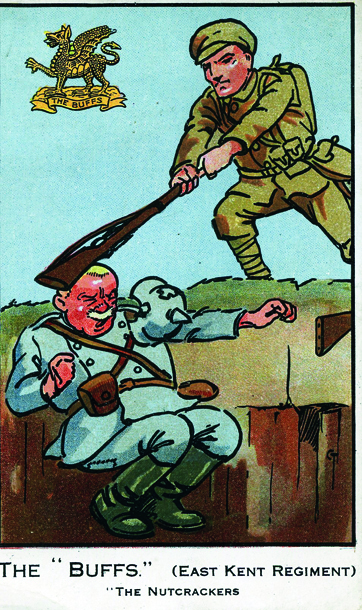 At least 200,000 British and Empire soldiers would die in the Salient during 1914-1918. Over one million men from the opposing nations were killed, wounded or reported missing there during the same period. The 2/Buffs arrived in the Salient during a period of relative stalemate. After their last ditch defence of Ypres in December 1914, the British were consolidating their trench lines in front of the city and (from February) taking over French positions to the north east. Meanwhile, the German High Command were finalising preparations for the Second Battle of Ypres, (their major offensive launched from 22 April-25 May 1915) which would see the first mass use of poison gas in military history. The Buffs settled into their sector trenches outside Ypres in the last week of January 1915, encountering a sorry state of repair. In the early months of 1915, the regulation two metre-deep British trenches in Flanders were grossly inadequate. The Tommies struck water after only two feet of digging. After the severe losses of First Ypres the British lacked experienced British officers, NCOs and trench engineers (sappers). There were shortages in trench repair equipment and crucially, artillery and shells (in 1915 Britain’s munitions industries were still gearing up to the full demands of war production for the Western Front). 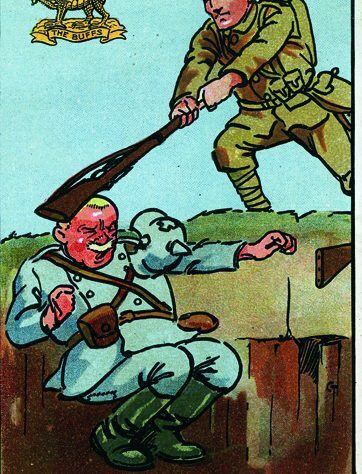 The 2/ Buffs lacked steel helmets – issued only from 1916 – and suffered badly from the ‘trench foot’ caused by endless hours standing in waterlogged positions. 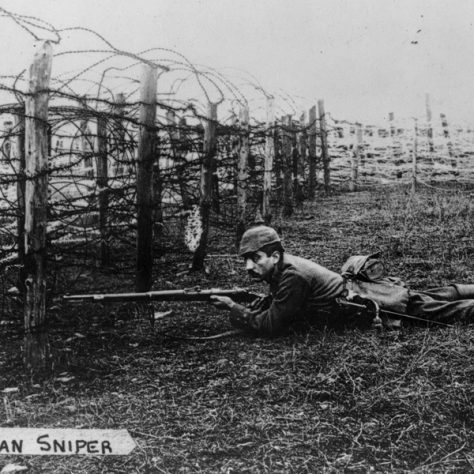 Sniper fire exacted casualties and sudden artillery and mortar barrages left men scrambling for cover in their zig-zag trench bays and sodden dugouts. For the 2/ Buffs and the French units holding adjacent stretches of trench in early 1915, it was a truly miserable experience. Bill White must have noticed that much of the hardware of war surrounding him had been manufactured in his home town by Vickers. 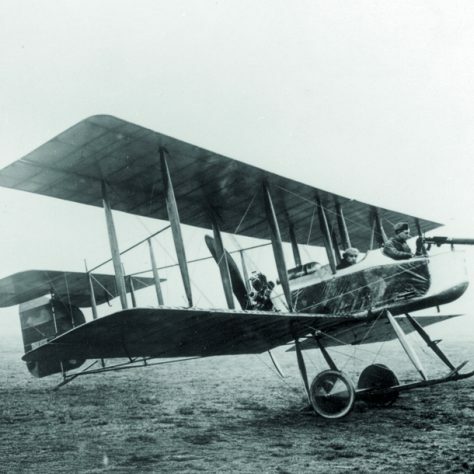 The machine gun developed in the town dominated the Western Front whilst for a while the Vickers FB5 Gunbus, the World’s first fighter plane, held dominance in the skies above him. The following week the 2/Buffs were sent to new positions near the smashed village of Locre, east of Kemmel in the southern Ypres Salient. Locre – which housed a large British tented camp, rest billets and an advanced medical dressing centre – was in 1915 a key access route for British reinforcements to the Messines Ridge sector. 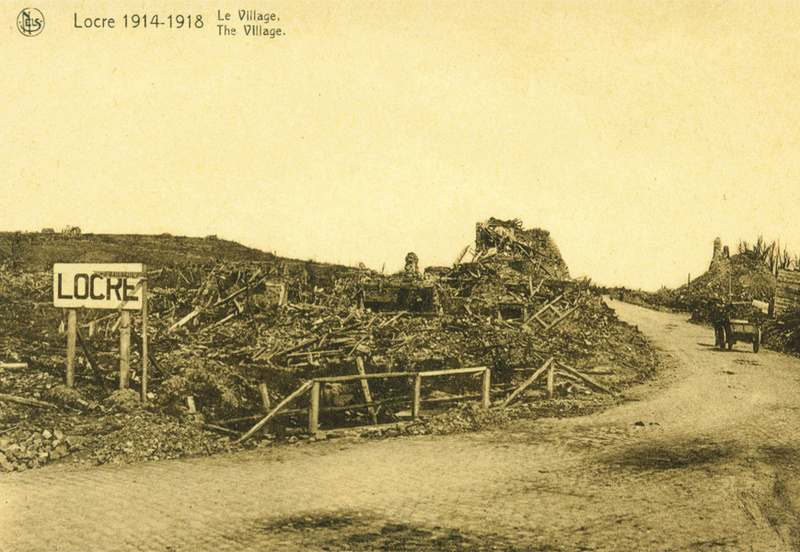 Near Locre, the 2/Buffs took over several sections of dilapidated trench previously occupied by French units. The Buff’s Official History entries describe the frostbite and trench foot endured by his comrades whilst these positions were revetted, re-wired and restored. 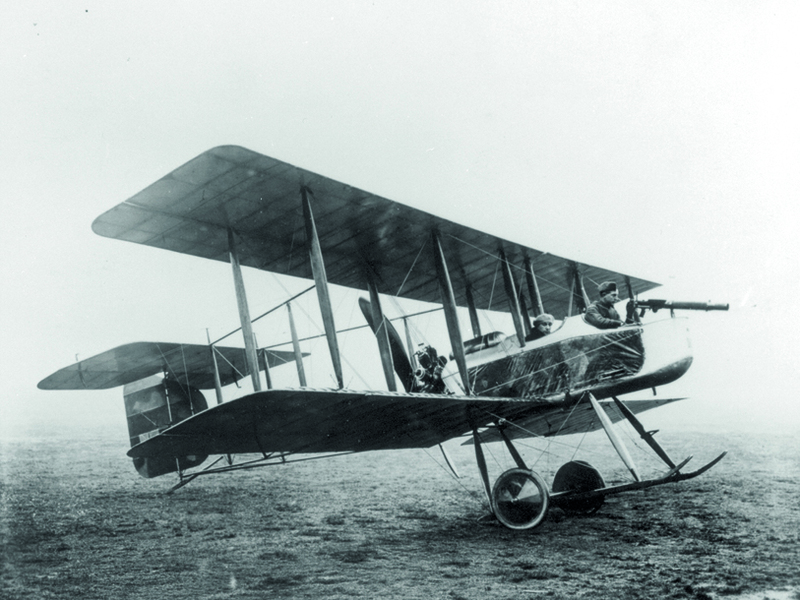 The war ended suddenly for Bill White at 4.45pm, 23 February 1915. Described in the Battalion’s Official War Diary as a day of ‘little activity’, the 2/Buffs were busy improving the old French trenches. 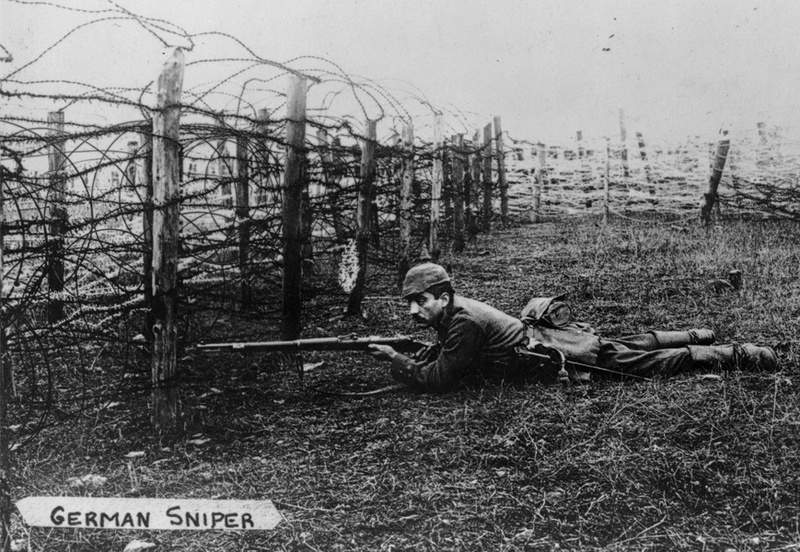 ‘Chalky’ White, detailed to collect water for B Company, entered the sights of a German sniper, who took full advantage. He was shot through the neck and knocked down. 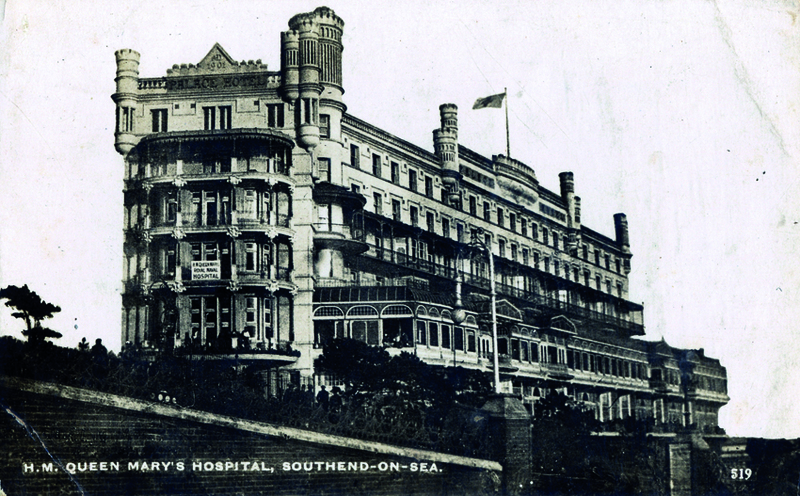 Private White, initially thought to be dead, was subsequently evacuated to a casualty clearing station and then to the RAMC Hospital at Boulogne. The sniper’s bullet had left him almost completely paralysed, with only the use of his arms remaining. 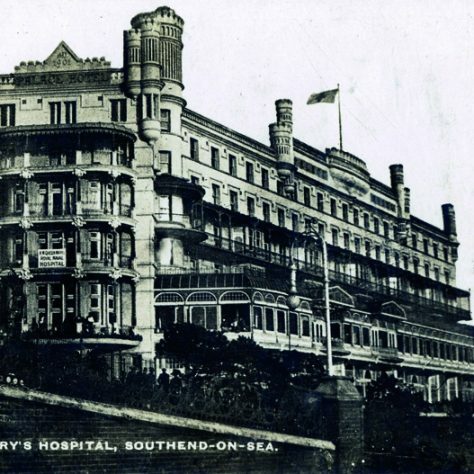 On 12 March 1915, he was brought back to England for further treatment at Queen Mary’s Hospital, Southend (formerly the Palace Hotel). But his prognosis was poor and his condition did not improve. Over the course of the next year, under the care of VAD (Voluntary Aid Detachment) nursing staff he lay immobile. 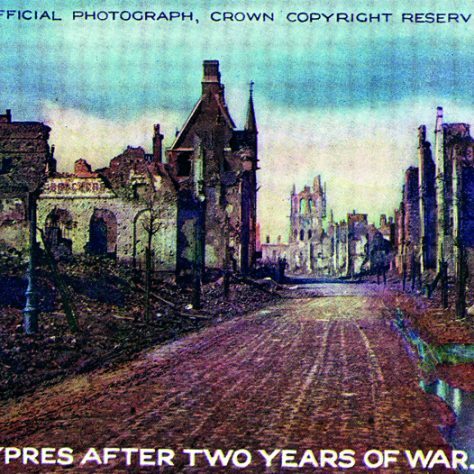 Back in Flanders, the 2/Buffs went on to fight in the Second Battle of Ypres in several critical delaying actions near St Jean and Poelcappelle in the face of the successful German advance. As time passed, Bill White must have battled feelings of depression as he dealt with the consequences of his wound-total paraplegia. However, a long letter he wrote thanking staff for their care on leaving the hospital is completely devoid of self-pity. His morale was boosted by the visit of HM Queen Mary to the Hospital on 16 June 1915 – she spoke with him personally – and the sympathetic ministering of volunteer nurses, including the celebrity violinist Marjorie Bose . 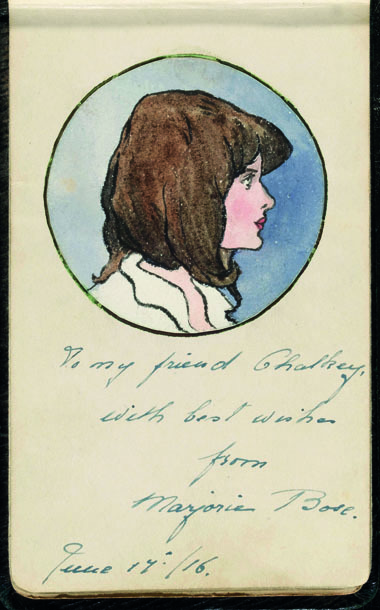 He made friends with other wounded soldiers – including Canadians and Australians – who left their many sketches and autographs in his notebook. But time was running out for the Crayford man. By late June 1916 he agreed to a transfer to the War Hospital at Darenth , Dartford, to be near his family. Like the swallow, Chalky returned to where he was born before he died. On 11 July 1916, Private Bill White finally succumbed to his wounds. His mother Phoebe was by his side for his last moments- a comfort denied to so many who would suffer a lonely death in the muddy trenches of France. He was 23 years old. White’s death came ten days after the start of the great Somme offensive on 1 July 1916. It was the worst day in the history of the British Army (60,000 casualties on the first day of whom nearly 20,000 were killed). The shock wave of the Somme pulsed through Britain. 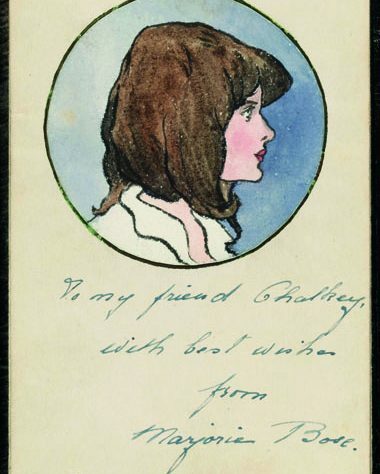 As Bill died, with his mother Phoebe at his bedside, other families in the Crayford area and elsewhere in Kent were receiving notice of death telegrams. His funeral took place in Crayford on Friday 14 June 1916. He was the first soldier from Crayford to be buried at home and his funeral cortège provided an outlet for the grief of local families who had also lost fathers, sons or brothers. The procession passed his boyhood home on Station Road and Private White was buried with full military honours in the churchyard of St Paulinus Church , Crayford. HM Queen Mary sent a wreath to his graveside. A Kentish swallow had finally returned. This year – on 11.11.11.11 – Private Bill White will be freshly remembered in his home town and across Kent. The Crayford Town Archive (supported by the Heritage Lottery Fund) is sponsoring several local commemorations and school events to mark this unique anniversary and the tale of this forgotten local hero. Today, Chalky White’s military story and ultimate fate are not simply a matter of history. With the ongoing conflict in Afghanistan weekly claiming the lives of young soldiers and with those wounded in the service of their country now fighting further personal hospital battles to recover, the example of fortitude set by this soldier of Kent has never been more relevant.